Never run the filter while there are swimmers in or around the pool. Be sure electrical hook-ups comply with national and Local electrical codes. Do not dispense chemicals into the pool while the pool is being used. Poisoning or painful skin irritations can occur. Do not permit horseplay or dangerous water games in and around your pool. Remember that the pool area may be wet and slippery, and accidents resulting in serious injuries can be prevented if rules of behavior are strictly enforced. Keep the water sanitary and healthful at all times, maintain pool sanitation with the use of a good filter system and the regular application of water purifying chemicals. Unsanitary water is a potential health and safety hazard. Lighting should be provided to illuminate safety signs, deck surfaces, and walks during nighttime pool use. Do not allow toys, chairs, tables, filtration system’s pumps, heaters or other objects that a young child could climb, to be within four feet (4′) of the pool. Parents and or guardians should learn C.P.R. Keep all electrical radios, speakers and other appliances away from the swimming pool. Keep the deck and pool area clean and clear of objects that may create a tripping hazard. Allow only one person at a time on the pool ladder(s). 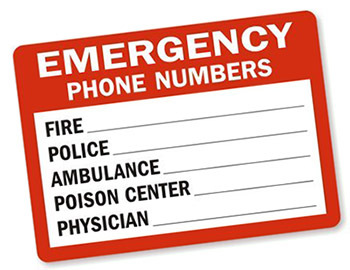 ﻿ ﻿A list of emergency phone numbers of the following should be conspicuously posted and kept at hand at the nearest phone to your pool. Nearest available police, fire, and or, rescue unit. Common sense safety precuations can prevent accidents and serious injury!